product certificate to the winner! Muscle Mustangs) on Saturday, March 9th. heads-up on a 4/10 pro tree. 3rd Annual Muscle Mustangs & Fast Fords Open House. On Thursday, March 7th, Muscle Mustangs & Fast Ford magazine is opening its doors for a fun evening of music, food, awesome Fords and cool giveaway items including an SCT tuner, Shelby diecast models, FRPP gears, a case of Royal Purple oil, plus items from Roush, Holley, NOS, and much more. The event is free for everyone and will begin at 4:30 pm at Muscle Mustangs headquarters located at 9036 Brittany Way, Tampa, Florida, 33619. 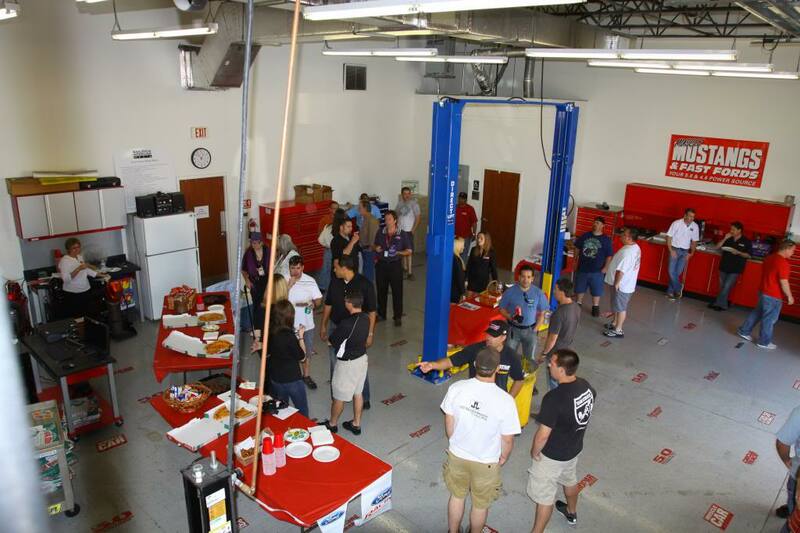 You’ll get a firsthand look at our Snap-On Tech center where a lot of the action takes place, along our Dynojet 224xLC. Which will be in action. And let’s not forget some MM&FF models showing off their good looks. We will also be giving away free tickets to the NMRA season-opening Spring Break Shootout (March 8-10). Bring out your Ford for a kickin’ car show, and come take part in our giveaways. The event takes place the day before the season-opening NMRA Spring Break Shootout at Bradenton Motorsports Park (just 40 minutes south of our office), and features Tremec True Street, the MM&FF Spring Break Shootout class, plus the Tremec Stick Shift Shootout, where stick drivers can win a new Tremec transmission. This is one event you won’t want to miss! Breaking News!! Prize for the Spring Break shootout quick 16 winner! !